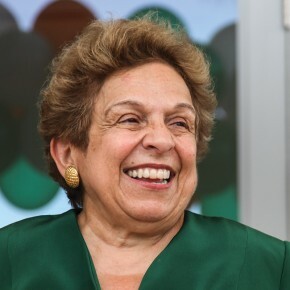 Thirteen individuals have been appointed to the Presidential Search Committee that will select President Donna E. Shalala’s successor, according to a university-wide memo sent Friday by Stuart A. Miller, chairman of the Board of Trustees. Nine of Miller’s appointees are members of the Board of Trustees – including a student trustee, senior Amy Halpern – and four are faculty members. For the full list of members, see the memo below. 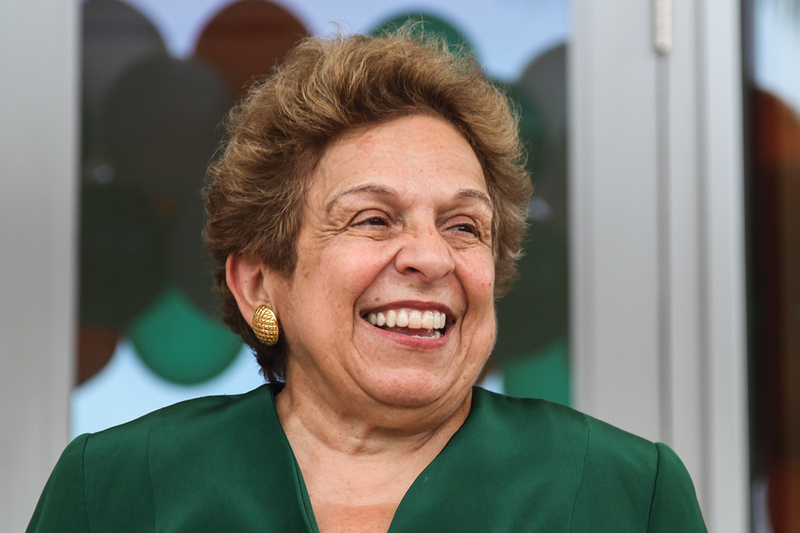 Shalala announced that she will be stepping down as president of the University of Miami in September. Miller appointed Richard D. Fain, vice chair of the Board of Trustees and CEO of Royal Caribbean Cruises, to chair the committee. Fain has been a trustee since 1997. “This will be an inclusive process and will seek valuable input from the greater University of Miami community,” Miller wrote in a statement sent to the university community in September. According to Miller, the next steps in the search will be to reach out to other “campus constituencies” and select an executive consulting firm. To nominate a candidate or make a suggestion regarding the search process, email Aileen M. Ugalde, the executive director of the search committee, at augalde@miami.edu. For all news about Shalala stepping down, visit The Miami Hurricane’s Shalala page. Since 2001, President Shalala has guided the University into the top tier of national research universities, with unprecedented progress in teaching, scholarship, research, patient care, campus infrastructure, fundraising, and community outreach. As President Shalala prepares to step down in the summer 2015, we are moving forward in the search for her successor, who will lead the next phase of this great University’s continuing advancement. As previously noted, I have appointed Richard D. Fain, Vice Chair of the University of Miami Board of Trustees and Chairman and Chief Executive Officer of Royal Caribbean Cruises, Ltd., to chair the Presidential Search Committee. He earned a B.S. from the University of California at Berkeley and an M.B.A. from the University of Pennsylvania Wharton School. A highly respected business and civic leader in our community, Richard has a long tradition of service to the University as a dedicated trustee since 1997. Leonard Abess, Chairman and Chief Executive Officer of ThinkLAB Ventures, has served as a Trustee since 1997. He served as Chairman of UM’s Board of Trustees from 2011 until 2014 and is an Ex-Officio member of the Executive Committee. He and his wife, Jayne, are Co-Chairs of the Momentum2: The Breakthrough Campaign for the University of Miami. He earned his business degree at the Wharton School of the University of Pennsylvania. Hilarie Bass is Co-President of the international law firm Greenberg Traurig, P.A. She earned a B.A. from George Washington University and her J.D. from UM School of Law. She has served as a Trustee since 2003 and recently was named Vice Chair of the Board. She serves on the Executive Committee as the Chair of the Audit and Compliance Committee and is chair of the School of Education and Human Development Campaign for Momentum2, as well as the school’s Visiting Committee. Professor Charlton Copeland joined the UM School of Law faculty as an Associate Professor in the fall 2007, where he teaches Administrative Law, Civil Procedure I and II, Comparative Constitutional Law, Federal Jurisdiction, and the Regulatory State. He received an A.B. from Amherst College, an M.A. in religion from Yale Divinity School, and a J.D. from Yale Law School. David L. Epstein is Chief Executive Officer of C3/CustomerContactChannels, and Managing Partner of Presidential Capital Partners. He was elected a UM Trustee in 2004 and serves on the Investments Committee of the Board of Trustees, as well as Chair of the Intercollegiate Athletics Advisory Committee. He earned his B.B.A. at UM. Amy Halpern is a senior majoring in business law and marketing, who will graduate in 2015. She serves as President of the UM Panhellenic Association, is a member of Iron Arrow, Omicron Delta Kappa, Mortar Board, Order of Omega, and Rho Lambda Honor Societies. She currently serves as the Student Trustee on the UM Board. Marilyn J. Holifield is a Partner at Holland & Knight, L.L.P, where she represents corporate clients in litigation. She received a B.A. from Swarthmore College and a J.D. from Harvard Law School. She has served as a UM Trustee since 2002 and is an At-Large member of the Executive Committee of the Board of Trustees. She also serves on the University of Miami Hospital Board of Governors, the College of Arts and Sciences Visiting Committee, and the Miller School of Medicine UHealth Visiting Committee. Professor Neil Johnson leads the College of Arts and Sciences Department of Physics’ new interdisciplinary research group in Complexity looking at collective behavior and emergent properties in a wide range of real-world Complex Systems from physical, biological and medical domains to social and financial domains. He received a B.A. from Cambridge University and a Ph.D. from Harvard University as a Kennedy Scholar. Manny Kadre is Chairman and Chief Executive Officer of MBB Auto Group and has served as a Trustee since 2004. He is a member of the Executive Committee as Chair of the Finance Committee and serves on the School of Law Visiting Committee. He earned his J.D. from Fordham University. Stephen Nimer is the Director of the Sylvester Comprehensive Cancer Center at the UM’s Miller School of Medicine, part of the UHealth System. A hematologist, molecular biologist, and bone marrow transplant physician, he previously held the Alfred P. Sloan Chair and served as Head of the Division of Hematologic Oncology, Vice Chairman for Faculty Development, and Chief of the Hematology Service at Memorial Sloan-Kettering Cancer Center for nearly 20 years. He earned a B.S. from the Massachusetts Institute of Technology and an M.D. from the University of Chicago Pritzker School of Medicine. Jorge M. Perez is Founder, Chairman and Chief Executive Officer of The Related Group of Florida. He has served as a UM Trustee since 2000, is a member of the Investments Committee of the Board of Trustees, and chairs the School of Architecture Visiting Committee. He received his undergraduate degree from C.W. Post College and an M.S. from the University of Michigan. Isaac Prilleltensky is Dean of Education and Human Development at the University of Miami and the inaugural Erwin and Barbara Mautner Chair in Community Well-Being. He received his M.A. in clinical child psychology from Tel Aviv University and his Ph.D. in psychology from the University of Manitoba. E. Roe Stamps IV is Founding Managing Partner of the private investment company Summit Partners. He received his M.B.A. from Harvard Business School after earning degrees in industrial engineering from Georgia Tech. He has served as UM Trustee since 2003, and currently serves on the Finance Committee of the Board of Trustees and the Visiting Committee of the Frost School of Music. He and his wife, Penny, serve as vice chairs for Momentum2. As previously noted, Aileen M. Ugalde, Vice President, General Counsel, and Secretary of the University, has been designated the Executive Director of the Presidential Search Committee. Aileen joined the University in 1994 and earned her undergraduate degree from Harvard and her law degree from UM. Now that the committee has been appointed, the search process will begin promptly with the selection of an executive consulting firm by the search committee and the initiation of an outreach effort to engage various constituencies throughout the campuses and our community, starting with our Faculty Consultative Committee. Recognizing the pivotal and expansive role the University plays in South Florida and beyond, the search committee will seek input from a wide range of stakeholders that will be invaluable in developing a comprehensive and visionary leadership profile and which will serve as a starting point in identifying a broad and diverse pool of highly qualified applicants. We will endeavor to have a successor appointed by the end of the academic year. We will provide you with periodic updates on the selection process. If you wish to submit the name of a candidate or have suggestions concerning the search process, please contact Aileen M. Ugalde, Office of General Counsel, 1320 South Dixie Highway, Suite 1250, Gables One Tower, Coral Gables, FL 33146. Telephone: (305) 284-2700; Fax: (305) 284-5063; or email augalde@miami.edu. I am confident the committee will identify an exceptional new leader to succeed President Shalala, under whose guidance the University of Miami has made momentous gains. We now need to build on our strong academic and financial foundation and achieve even greater heights. I am grateful for all of your support and look forward to a successful search.